According to Christian mythology, the Holy Grail was the dish, plate, or cup used by Jesus at the Last Supper, said to possess miraculous powers. 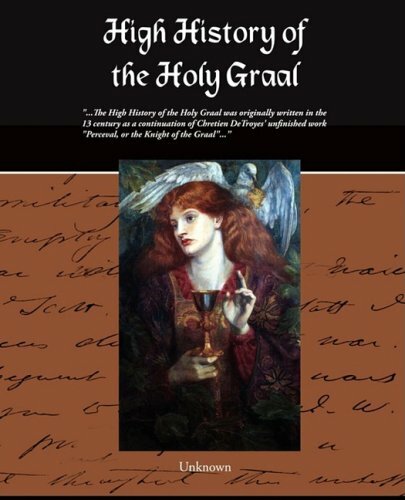 This is the first volume of the Story of the Grail, compiled in 1866 from a 16th-century copy of the original. We don't talk about them, but all of us have them - private jealousies, resentments, fantasies, and temptations. For over two decades, Arnold's sensitive wisdom has helped thousands of readers battle these unwanted thoughts. This book is a story, not an academic treatise. The author has never been committed to a lifetime of study and involvement in Christianity and hence must be considered a dilettante in this field. This does give him the advantage of being objective. Claims of miracle stories are all around us. Douglas Connelly has looked at what Scripture has to say. This book evaluates a variety of true and false miracle accounts as well as the signs and wonders movement, while offering a biblical picture.